Riversource is primarily a life insurance provider but also markets disability income insurance plans. They do not, nor have they ever, sold personal or group health insurance. Find an insurance company that markets personal health insurance plans. Simply click here and enter your zip code for a list of companies and rate quotes. Riversource is a subsidiary of Ameriprise Financial and is based in Minneapolis, Minnesota. With over 100 years of experience in the insurance and financial industries, Riversource is now the 17th largest life insurance company in the world and the 9th largest provider of disability insurance. Riversource traces its roots back to 1894 when an investment firm by the name of Investor’s Syndicate was founded. In 1957 Investor’s Syndicate became Investor’s Syndicate Life Insurance and Annuity Company. This company was bought in the mid-1980s by American Express and its name was changed to Ameriprise Financial. In 2005, Ameriprise introduced the insurance brand name, Riversource. Today Riversource and its parent company, Ameriprise Financial, are leading companies in the insurance and finance industries. They offer a variety of products and services to help meet the needs of their clients in planning for retirement, large scale expenses, and unexpected financial burdens. Riversource and its subsidiary, Riversource Life Insurance Company of New York, can be reached by phone or mail if you would like additional information about the companies or their products. If you wish to speak with a customer service representative at Riversource headquarters you may call Monday through Friday between the hours of 7am and 6pm Central Standard Time. 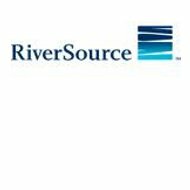 Riversource receives solid ratings from several companies for their financial stability as a company. These ratings are based on the latest data from 2010 and 2011. The Better Business Bureau also gives Riversource a rating of A+. This is based on the length of time the company has been in business, the complaint volume in comparison to the size of the company, and the fact that all complaints filed have been responded to and resolved by Riversource in a timely manner. Riversource’s main insurance product is life insurance; however, they also market disability income insurance plans. They do not sell health insurance. In addition to their insurance products you can also set up annuities and take advantage of several financial services offered by Riversource and its parents company, Ameriprise Financial. This plan offers income tax free death benefits and tax-deferred cash growth opportunities with guaranteed life insurance until age 70 or 100 depending on the option chosen. With this your rate may vary, but you have the flexibility of taking loans from your policy in order to finance expenses such as a new home or post-secondary schooling. This plan also offers income tax free death benefits or tax-deferred growth at a fixed rate. You can choose from either 20-year or lifetime plans and will have a flexible premium. Another option is Foundations Protector Universal Life which offers a no lapse guarantee for your lifetime. With term life insurance you can choose a set amount of time (the term) for which the policy will offer you coverage. At Riversource, you can choose from standard policies that offer terms of 10, 15, or 20-years, or you can choose an option that offers your family income protection until the time of your retirement should you pass away prior to that age. Packages at Riversource consist of base coverage, enhanced coverage, or comprehensive coverage based on your needs and budget. Find health insurance plans at reasonable rates. Click here and enter your zip code for a list of rate quotes from providers in your area.